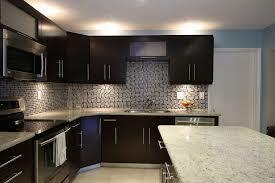 The edging for your granite countertops can change the whole look of your kitchen or bath. There are so many to choose from. Of course, the fancier you have your granite edges cut, the more expensive your granite countertop is going to be. Depending on the look you are going for, this may be well-worth it. There are actually six main types of edging and each type of cut as variations. We will briefly go through the granite edge profiles and their differences. As its name would indicate, the Bullnose Cuts are rounded resembling a bull’s nose. Bullnose cuts come in Full Bullnose with a totally rounded end, a Half-Bullnose that is only rounded on one end and a Full Bullnose Laminated, which is exactly the Full Bullnose Cut only laminated. This cut gives your granite countertops a soft and rounded look. There are only two types of Radius cuts. One is the Quarter Radius, where just a quarter of one side is rounded. There is also the Quarter Radius Cut Top and Bottom, where obviously, both sides are a quarter of the way rounded. Less obvious than the Bullnose Cuts, the Radius cuts will still soften the look of your countertops. Squared off at the end, the Straightedge cut is simple and classic. 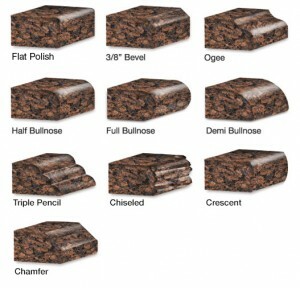 There are many types of Bevel Cuts for your granite countertops. A Quarter Bevel Cut is a diagonal, straight cut of a quarter of the corner of the end. This can be done also as a Quarter Bevel Cut Top and Bottom where both sides have a quarter of the corners cut off diagonally. This produces a pointier edge, without the danger, as the point is squared off. The Three Quarter Bevel Cut is a diagonal cut of three quarters off the end leaving a quarter of the end squared off. The Ogee Cuts are very similar to the Dupont Cuts, however, with Ogee cuts the rounded off oval shape is more elongated. The Ogee Cut is a short straight edge that comes down not very far to create a fat rounded off oval. The Large Ogee is the same cut only the straight edge is longer and the oval looks a little bit more elongated. A Double Ogee Cut is quite similar to the Dupont Cove, having an indentation carved out and then another rounding off at the end. These two “scoops” taken out of the ends are separated by a point. And finally there is the Ogee Laminated Half Bullnose Cut. This is a combination of the Ogee cut and the Half Bullnose cut laminated. These are all the cuts you can get for the edges of your countertops. 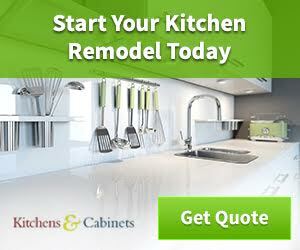 You can choose depending on your budget and the look you desire for your kitchen or bath. Anything you choose is sure to give your bath or kitchen a customized look.